Shepherd & Dog has been at the centre of the local community for many years, but what you see today in Gore Road is only a small part of the story. 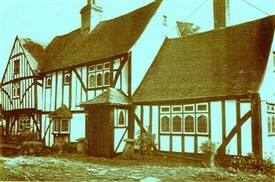 This building was erected around 1934 following a major fire on the current site which destroyed the barns and other buildings that were previously situated there. A photocopy of a picture from a local paper is attached showing the aftermath and below is is a summary of the associated article. "What might have developed into one of the most extensive farm fires in the district for many years was averted by prompt action from men on the spot and Southend Fire Brigade. A cottage and several large outbuildings were completely destroyed with damage estimated at £2,300. The alarm was raised by a Mr Carter working on the adjacent Cater's brickfields who warned cottage owner Harry Smith, who had been in his workshop next to the barn. 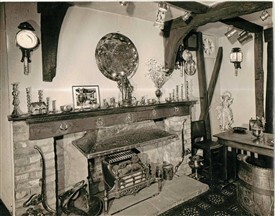 They then set about removing the furniture from the cottage which was occupied by Mr Alfred Heffer, employed as a blacksmith by Mr Smith. The barn and granary were lost containing 20 quarters of wheat, 2 stacks of straw and 5 loads of bound straw. Fortunately no bullocks nor pigs perished as they had been moved the previous week. 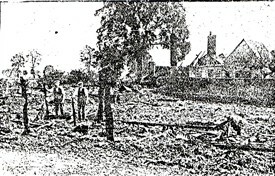 The Fire Brigade under the direction of Captain W.G.Harvey dealt with the fire and in so doing pumped dry two local wells, one at a distance of 500 yards "
A reference to Kelly's directory of 1929 shows that the pub was the residence of a Mr Arthur Carter who may or may not be the aforementioned Carter who raised the alarm. He was succeeded by his son Percy Hugh Carter between 1933 and 1937. It would also appear that the pub was not named from 1890 to 1933 so perhaps the newly built pub was re-christened. The previous incarnation of the pub was just around the corner in Paglesham Road and is now a somewhat modified private residence. 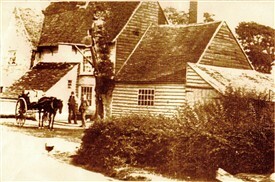 Attached are some already widely reproduced photographs of the pub as it was in the late 19th century and after the modifications were made. Relatively little is recorded or written about the old pub, as far as our current research has shown however, as we believe it was probably built in the late 15th or early 16th century there must be much more to uncover. 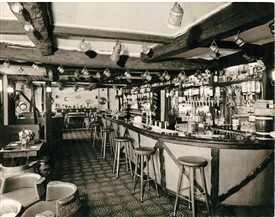 Following the recent takeover of the lease of the current pub some old photos of the way it looked in the late 1960's/ early 1970's have come to light and are also attached. If you have memories or any information on the history of either building please let us know or add it to the site. This page was added by Brian Pettitt on 07/02/2011. I also met Brian in the Shepherd & Dog pub in October 2012, while researching my family roots (Fosters & Clarks) and must thank him for his help....My GGGrt uncle Thomas Clark born 1835, worked with his wife Ann in this pub (the original one) in the 1881 census. His father John Clark (my GGGGrt grandfather) born 1798 & was a brewer & cooper at Lambourne Hall, Canewdon in the 1851 Census. In 1861 he lived at Ballards Gore, Scotts Hall Cottages with his wife Catherine and they also lived at Whitney Chase Cottages, Gt Stambridge. 1871 census. They had 5 children. His daughter Catherine born 1829, married Jesse Foster (my maiden Name) in 1853 and they had 6 children the eldest Jesse (a name passed down in the family) who then married Emma Whitmore in 1878, in Gt Stambridge; they lived at Ballards Gore, Wades Road in 1891, also at 2 Royal Oak Cottages Gt Stambridge in 1901 & 2 Pump Cottages, Gt Stambridge in 1911. They had 9 children one of whom, Percy Foster, (their Son & my granduncle) is buried in a War Grave in Stambridge Church (St Mary & All Saints, at the back of the graveyard in the S. E. corner). He was only 18 & died 1 month after enlisting for WW1..my Grandfather then moved to East St, Rochford around the 1900's & had a butchers shop..If any one wishes to share any info with me or may have some, I can be contacted at lesleysharawi@yahoo.co.uk. After meeting Brian Pettitt this evening (5/10/2011) in the Shepherd and Dog, I can add a little: my Grandfather's sister and her husband, Clara and Arthur Totman, ran the Horse and Groom in Rochford before moving to the Shepherd and Dog. Clara was born in 1883, so clearly this was the original pub, perhaps between the wars. 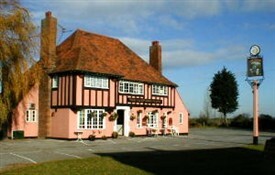 Later they moved to the Fountains Hotel, Soham, before retiring to Swaffham, Norfolk. I will try and get some dates for the period at the Shepherd and Dog. They had a daughter Cathy or Kathy who may have worked there, but this is speculative.